LINCOLN, Neb. 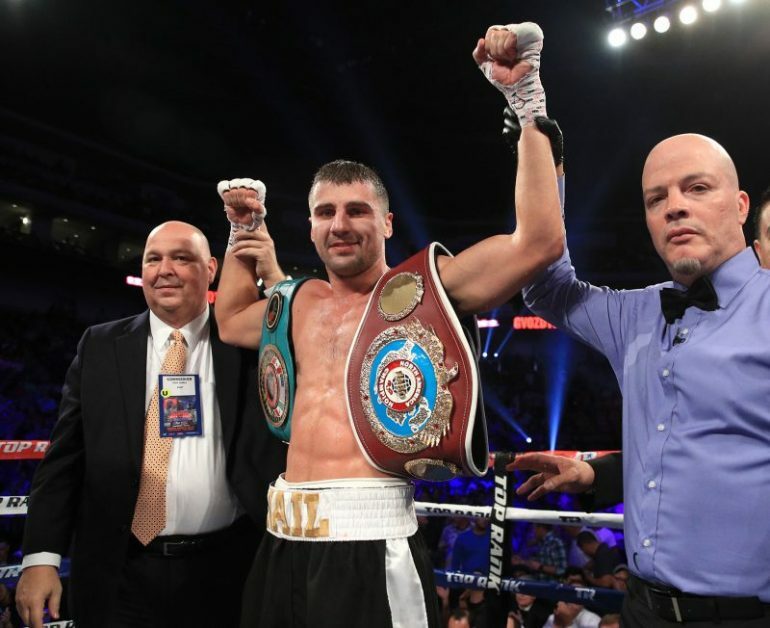 — Oleksandr Gvozdyk continues to rack up stoppage victory after stoppage victory on his quest for his first world title opportunity. The Olympic bronze medalist wasn’t as destructive as usual, but he got the job done with a sixth-round stoppage of unheralded opponent Craig Baker on Saturday in the ESPN co-featured bout. Now, the 30-year-old Ukrainian feels ready for a title fight — no more waiting. And the kingpin of the light heavyweight division, Andre Ward, happened to be ringside calling the action for ESPN. Gvozdyk won every round clearly with his pinpoint straight right hand through Baker’s high guard. THE RING’s No. 5-ranked 175-pounder has now scored eight consecutive stoppages (the last two on HBO over Isaac Chilemba and Yunieski Gonzalez) and appears ready for far bigger competition. Baker (17-2, 13 KOs) was knocked out by Edwin Rodriguez in his only other fight of note.